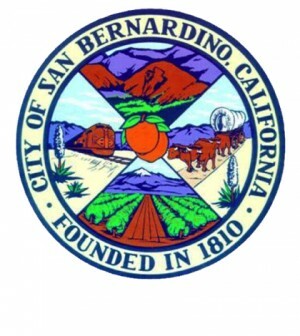 An attorney representing an unsuccessful applicant for a cannabis business permit charged last week that the San Bernardino City Council’s unanimous vote to alter a zoning requirement on April 3 was improper and may be challenged in court. The decision to clarify a zoning requirement prohibiting cannabis businesses from operating within 600 feet of a residence and was an effort to spread the locations of those businesses more evenly across the city, said Ward 5 City Councilman Henry Nickel, who proposed the change. The problem with the 600 foot restriction is that there are few places in the city where one can have that kind of business and be outside the barrier, he said. “Drive along Highland Avenue and you will see many houses shoveled between two businesses,” Seventh Ward Councilman Jim Mulvihill, said in an interview after the vote. Most of San Bernardino’s industrial zoning occurs in the third and sixth wards, and that’s where most of the cannabis permits were awarded, he said. Prior to the vote, Nickel said that the zoning requirement should be changed so that the 600-foot barrier only applies in areas zoned for residential use. Houses located in a business district are a “non-conforming use,” he said. A non-conforming residence shouldn’t be the basis for preventing a cannabis business from operating within 600 feet in all directions, he said. Like many issues associated with San Bernardino’s efforts to grant permits to cannabis businesses, the Wednesday night decision was controversial. Since the 16 permits were issued, three lawsuits have been filed criticizing the “irrational” process San Bernardino used to select some permit applicants over others. All three lawsuits allege that licenses were granted to numerous businesses that failed to meet city development requirements related to zoning and the City’s own general plan. Now another lawsuit may be coming soon. “What they did was, after the fact, change the law to make some of their permit selections seem legal,” said Rick Jackson, a cannabis industry consultant. Ben Eilenberg, a Riverside attorney filed the first of the three lawsuits in late February, on behalf of Stephanie Smith, is a Pacific Palisades real estate investor. Eilenberg said that the council action was “illegal” because it can’t change Measure X, which was approved by the voters in November 2018 and “sets into stone” what the regulations governing marijuana are. Eilenberg said he will likely file an administrative appeal to the action and if the zoning buffer change isn’t reversed, he will follow up with a lawsuit. On Feb. 25, Eilenberg, on behalf of Smith’s Washington LLC, filed a lawsuit alleging a complex “pay for play” environment surrounding the city of San Bernardino’s award of 16 cannabis permits at a specially called meeting on Feb. 21. All three lawsuits were critical of the performance of San Bernardino City Manager Andrea Miller. At the start of the public portion of the April 3 City Council meeting, it was announced that during the earlier closed session, Miller was placed on administrative leave. Council members Theodore Sanchez, Sandra Ibarra and Bessine Richard voted to place her on paid leave. Council members Nickel, Mulvihill and Fred Shorett voted against the motion. Mayor John Valdivia broke the tie vote, said Bill Essayli, the mayor’s chief of staff. “Given that it is a personnel matter, we are unable to comment on the basis for the leave,” Essayli said. Later in the meeting, Valdivia and Essayli discussed the recent discovery of “an alarming” overestimation of revenues for the current fiscal year for utilities and the gas tax and that expenses from the past bankruptcy, amounting to millions of dollars, were omitted from the budget. “We see the suspension of Andrea Miller as vindication of the fact that she was either part of a corrupt pay-for-play scheme or that her level of incompetence endangered the city,” Eilenberg said. During the public comment period, Jim Erwin, a cannabis industry consultant, told city council that the experience of Colorado, and some California cities, has been that about half of the permitted business fail. Some never even open their business. In view of that, he said the city needs to establish a policy to replace permit holders, he said. The council directed staff to come up with guidelines to replace permit holders whose business fails and develop a strategy to issue a cannabis permit for the final one, number 17, authorized under Measure X.